BRAND NEW!! This long sleeve cuffed button-up shirt features extended tails and sleeve length (about a 38" plus reach) for added comfort. 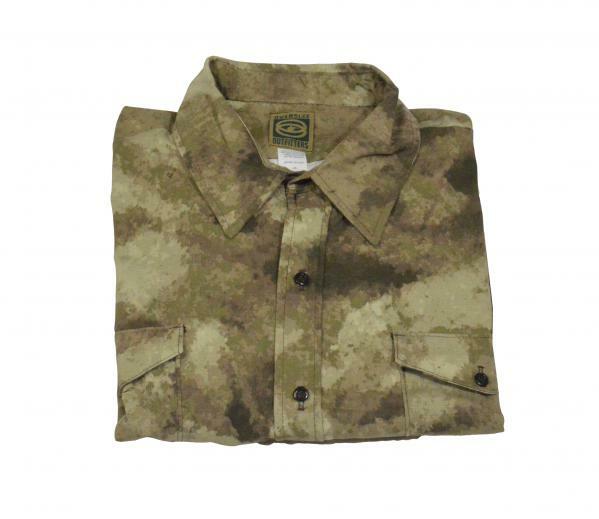 The shirt is constructed of a soft, silent, RIPSTOP pre-shrunk 6.5oz cotton/poly (60/40) twill. This A-TACS pattern could work anywhere, lots of dull grays with some olives. It features two front chest pockets with button closures.